Hi loves! 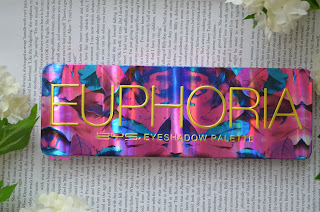 Today's review is on BYS Cosmetics Euphoria Eyeshadow Palette (12.90€) and it's also this week's palette. I have been using it daily and I love it. You can see some of the looks I did with it on my instagram (link). 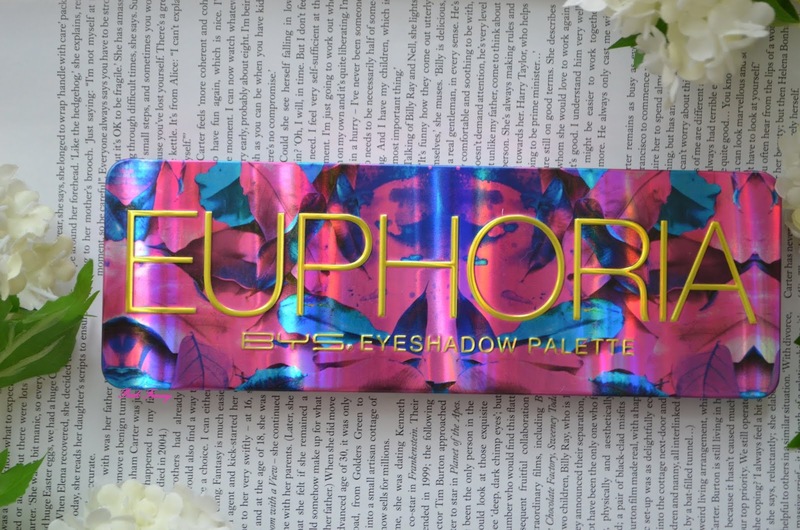 The palette comes in a pink and blue tin packaging. Inside there is a mirror, eyeshadow applicator (which I tossed) and 12 eyeshadows: 2 shimmers and 10 matte. I picked up mine when I was in Estonia the last time. 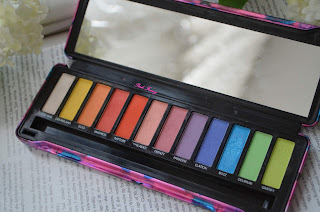 The palette is full of color and the eyeshadows are easy to blend. 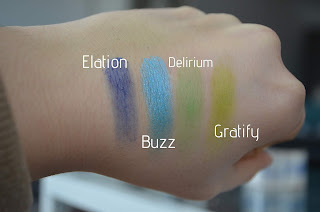 The formula is buildable and you understand what I mean when you see the swatches. Overall I like this palette, but there was few shades I had issues with. The matte eyeshadows are bit powdery. The eyeshadows didn't crease or fade on me through out the day. I always use eyeshadow primer under my eye looks. These also didn't irritate my eyes and I do have sensitive eyes. 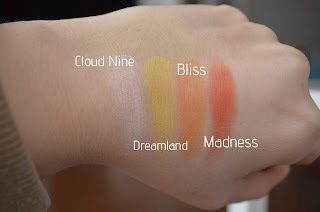 Now let's take a look of the swatches and see how I liked the individual eyeshadows. Dreamland - is a matte yellow. It blends out nicely and works best on white base. Bliss - is a matte orange. It blended out evenly and I can build the color up. I also pops better on white base. Madness - is a matte darker orange. 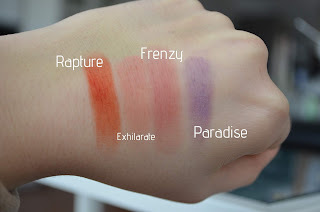 Rapture - is a matte orange red. Exhilarate - is a matte sheer dusty pink. It can built up and it looks beautiful. Frenzy - is a matte darker dusty pink. Paradise - is a matte lilac shadow. I had hard time working with it. It was so patchy! Elation - is a matte purple. I also had hard time with this one and it applied so patchy. Couldn't make it work. Buzz - is a metallic icy blue. It's so bright shade! Delirium - is a matte apple green. 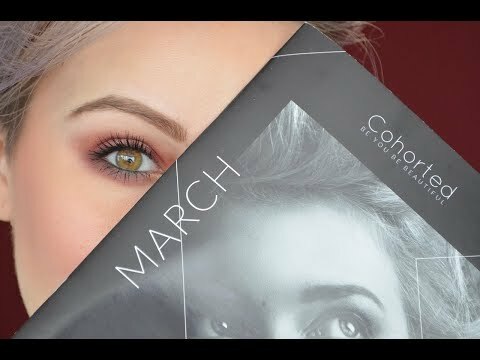 It applies on eyes better then it swatches. Gratify - is a matte yellow green. It looks so pretty and bright on white base. Overall I like this palette. Its great budget friendly product. It's also great way to experiment with colorful eyeshadow. 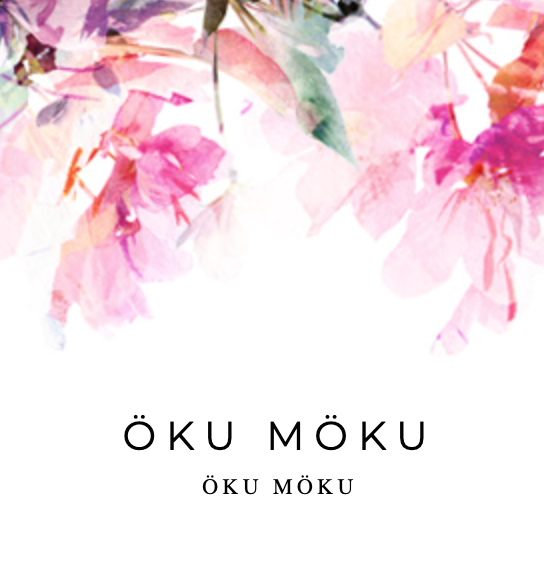 If you are interested in it, you can find it here and they do ship in the European Union. Have you tried BYS Cosmetics products before? These colours are so cool! I haven't tried this brand before. I'm enjoying playing around with color. The colours are gorgeous! I haven't played with colours for so long, maybe it's high time to revisit!